I am very happy and proud to announce that I’ve published my first knitting pattern! “Birch” is a cushion cover inspired by the tree it was named for, and is designed to fit a 16″/40cm square cushion. If you love the intricate patterns of trees, this will make a very cosy addition to your sofa, armchair- or your tree house! Knit in tactile, warm Icelandic lopi wool and inspired by the nature of Scandinavia, Birch is knitted seamlessly in the round, stranding a main and contrasting colour to striking effect. You could knit it in soft natural shades or go Warhol-esque with standout colours- it’s up to you! Birch is available for download in my ravelry.com store– will yours be the first project? 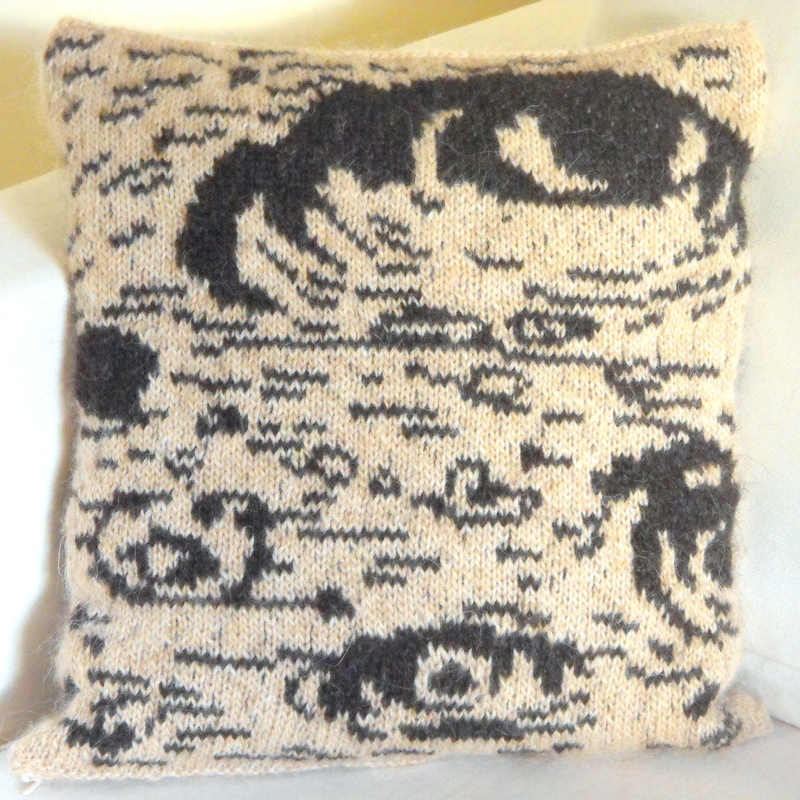 This entry was posted in Patterns and tagged Birch, Copenhagen, Craft, home, Icelandic, Icelandic wool, Istex, København, Knit, Knitted Gifts, Knitting, Knitting Pattern, Stranded, Strik. Bookmark the permalink. 9 Responses to “Birch” is live! How did you get it to snow on Ribbing Yarns? Somewhere in appearance settings i think!